The last one in 71! A marker in the shape of a drop of water without a black dot in the middle of which I have pictures; van Boxtel however has these pictures at his disposal. And the next day it's gone! When I started with this map there were quite a few of those markers with a black dot, but thanks to rather intensive church searches in the area this number diminished quickly. Until, quite recently, without realising it, I could exchange the last drop with black dot for one without. There are still some churches on the program, but those are mainly (interesting) churches which I had not seen from the inside, or which (and these are mainly less interesting churches) I hope to visit one day. The last one with dot that bit the dust was Chassey-le-Camp, a two star church near Chagny. The key was available with the neighbours, but lo and behold, there was nobody home that day. But you never know, maybe one day I will be around there again, and then I might have better luck with shooting some pictures of the interior…. 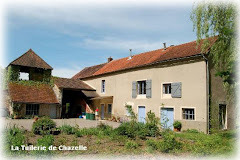 La Tuilerie de Chazelle is located in an area where Romanesque churches are abundant, and we have sufficient information available to help those who are interested on their way. One of the few churches of which Eduard van Boxtel’s website had interior photographs, but I did not, was the church of Vinzelles. 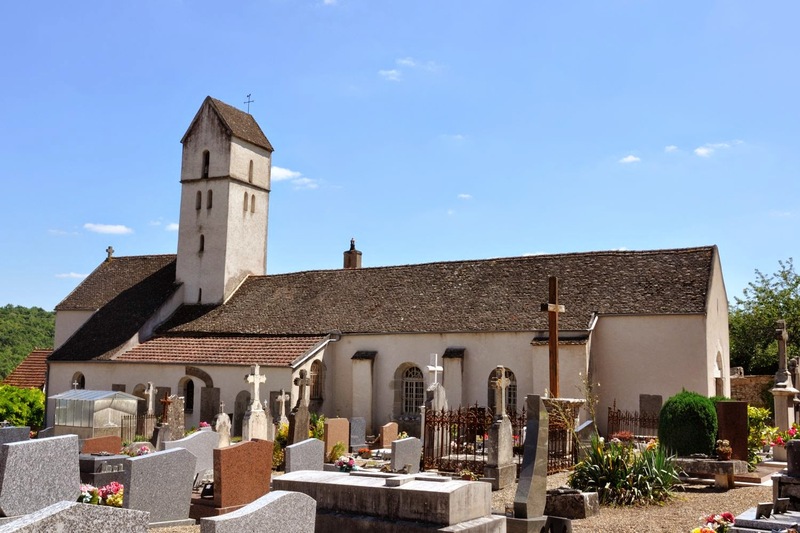 After we had visited the church of Nancelle, knowing that Vinzelles was close by and that the mairie of Vinzelles was open that day, it seemed a good idea to catch up on this particular church. Having learned from previous experience, we did not go to the mairie straight away, but tried the church door first, taking the chance that the door was open. And it was! The interior of the church was more interesting than I had assumed based on van Boxtel’s page. 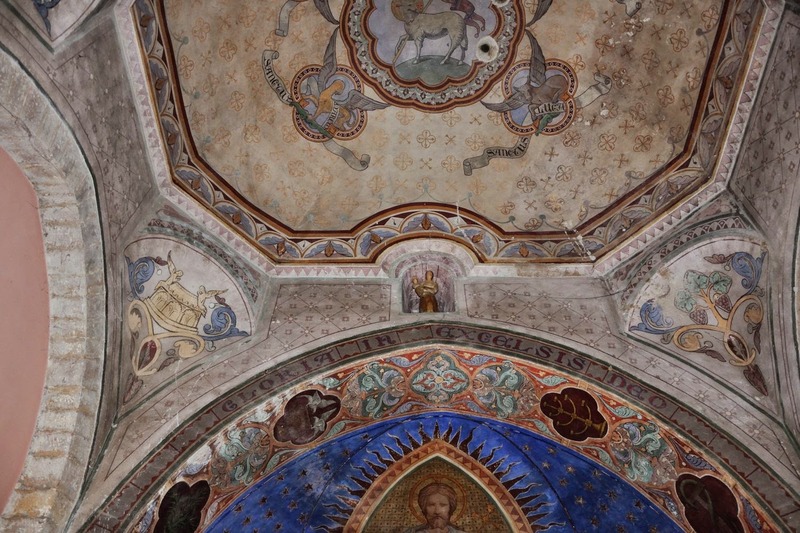 The church has a cupola on squinches, richly decorated in the 19th Century, at least that is what I assume on the basis of what I have seen in other churches. This visit also gave me an opportunity to have a good look at the exterior of the church. It is a very simple building, with hardly any decorations. 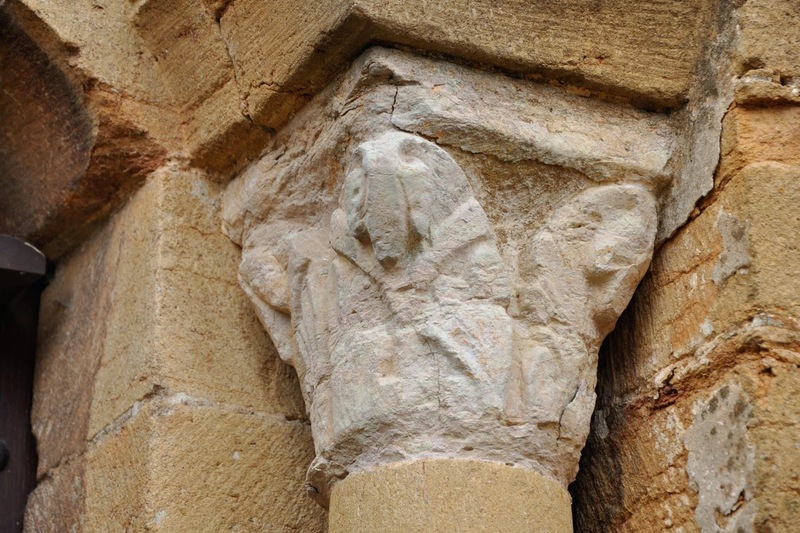 Only the main and the side portal are decorated with capitals, even though these have been heavily damaged in the course of the centuries. Of course this visit also resulted in a new album! The amount of interesting churches around Mâcon I have not yet seen is diminishing. 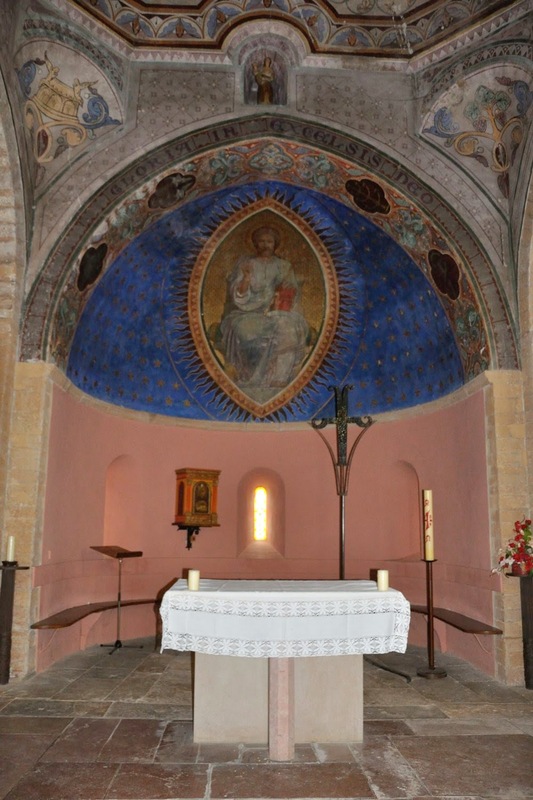 The only one still on my list is the church of Saint-Romain-des-Iles, direction Beaujolais. But the mairie there is only open two mornings and one afternoon a week…. 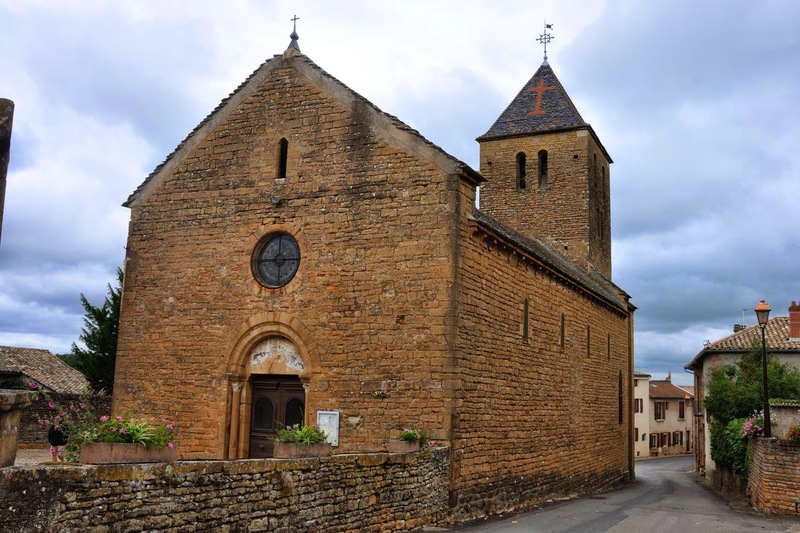 The Mâconnais, not far from La Tuilerie de Chazelle boasts a rich collection of Romanesque churches.